Current River is fed by innumerable springs, including the largest single outlet spring in the world, Big Spring. It is also fed by several other springs that rank in the top dozen in the world. 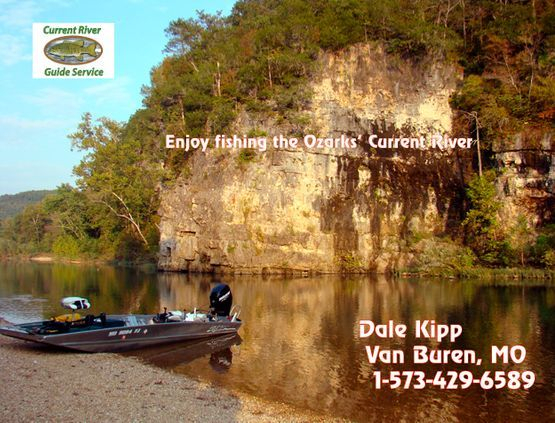 The clear, cool river is in fact a national park, Ozark National Scenic Riverway. It is a playground for people. It is also a playground for one of the world's best game fish, the SMALLMOUTH BASS! I love this river. I moved to this area with my family in the early 70s and we all fell in love with the river. My first fishing trip on the Current was in a canoe, but soon after we moved here, I built a wooden Jon boat and added a 9.5 Johnson prop motor to accommodate my growing family. Over the years, I've used just about every form of transportation available to fish, gig, float and swim in this gorgeous river. I want to share these opportunities and experiences with you. "Work is for people who don't fish."